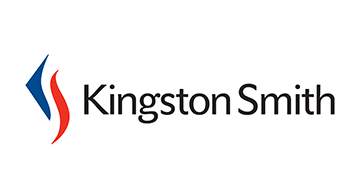 Kingston Smith is a leading firm of accountants and business advisers, providing specialist assistance to companies expanding in to the UK. With over 60 partners and more than 500 professional staff, the firm is focused on creating long-lasting success for entrepreneurial businesses from around the world. We have a leading team of Fintech accountants and advisers whose experience in both the technology and financial services sectors means we can advise clients on all elements of their business operations. Offering a full spectrum of advice, from FCA regulatory compliance and advisory and internal audit, through to the core audit, corporate finance, accounting and tax work, our Fintech team helps clients succeed through understanding their business aims and objectives. Our international ties provide a unique offering in the marketplace, enabling businesses to plan for the move to multinational and global status. Kingston Smith is fully equipped to provide expert advisory services in more than 80 countries and with over 10,000 professional staff through our international association, Morison KSi. This combination of local knowledge, commercial expertise, enthusiasm and client empathy gives businesses the right support to expand internationally. We are also proud partners to The Fintech50, the annual list of 50 European Fintech companies that are disrupting the financial services industry, and Innovate Finance, the UK membership organisation that aims to advance the UK’s standing as a leader in financial technology. Kingston Smith is part of London & Partners’ London Fintech Lounge at Money20/20 Las Vegas.